Earlier this morning Warner Bros. launched the official website for The Dark Knight Rises, TheDarkKnightRises.com. The site features a blank page with audio of people chanting. Then, a mysterious Twitter account started tweeting out a link and with a little digging through the source code, the first official image of Tom Hardy as Bane has been revealed! What do you think of our first official photo? Let’s hear your thoughts in the comments! 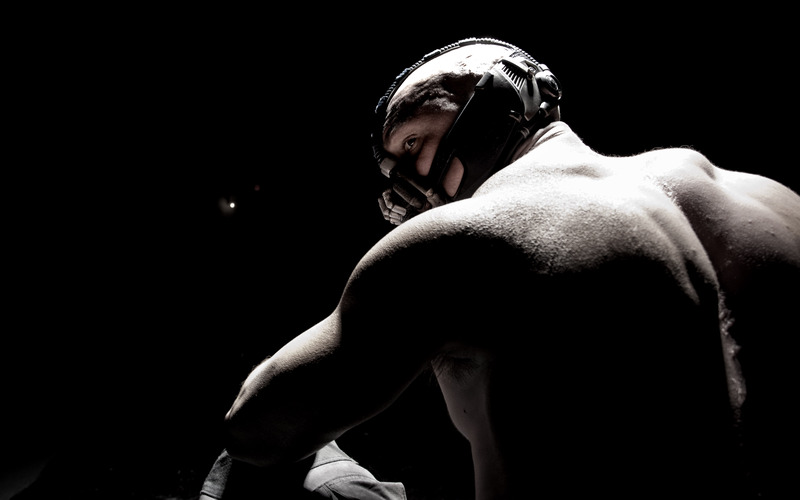 Update: Click here for a high-resolution version of Tom Hardy as Bane!